March 2010 - Youth Yoga Dharma in Common Ground - Check it out! 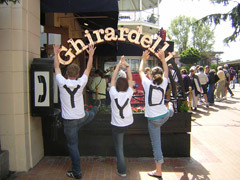 - A big THANK YOU to the YYD yogis: Caitlin, Greg, and Jocelyn! Psoas I was saying... Do you trust me? The Benefits of Yoga and Meditation Instruction in Schools by Lynne C. Waelde, Ph.D. Stress Resiliency for Parents, Lynne C. Waelde, Ph.D.
Mindfulness at the Gates of Hell (pdf): Published in Turning Wheel, Winter 2010. 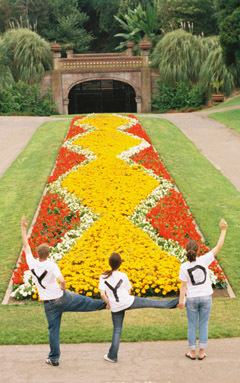 On this page are listed other organizations which offer resources for youth. There are a lot of great activities listed here, and great people behind these organizations. We hope you will check out these links—we update this page periodically. Located in Oakland, CA offer a mindfulness based immersion program for Elementary Schools, as well as parent and teacher Mindfulness programs. Rites of Passage groups for Junior & Senior High school ages. Wavy Gravy and Jahanara Romney operate this Circus and performing arts camp for kids and teens with a great philosophy. They emphasize socio-economic and racial integration, as well as empowering youth to grow into themselves freely & performance skills are merely the vehicle. Strengthens children, youth, families, and their communities through service, training, advocacy, and research. 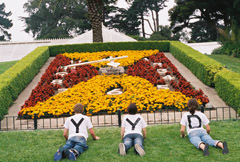 Edgewood Center operates a residential center, day programs, offers counseling programs onsite in SF public schools, and collaborates with families of at-risk youth. Edgewood advocates for the emotional, psychological, and physical well-being of children. Teen Meditation Retreats These retreats are an opportunity for teenagers to explore Mindfulness practice through guided periods of silent sitting and walking meditation, group discussions, creative activities, and free time. In addition to meditation, there is time to go for walks, play music, tell stories, and enjoy a bonfire on the last night. Offers annual teen and family retreats. Also longer silent meditation retreats for adults which are available to dedicated youth practitioners. Teen Meditation Classes, Sweat Lodge Day longs, & Annual Retreat to Abhayagiri Buddhist Monastery. Also offers retreats for adults which are available to dedicated youth practitioners As well as an annual family retreat and family daylong events. This sangha is an informal gathering of dharma practioners (mostly in our 20's and 30's) who live in the greater Bay Area. The BAYAS email list is a great community resource. Conquer the angry man by love. Conquer the ill-natured man by goodness. Conquer the miser with generosity. Conquer the liar with truth.